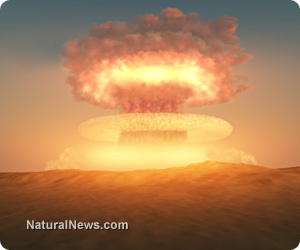 (NaturalNews) When the atomic bomb was dropped on Hiroshima and Nagasaki in August of 1945, over 12,000 people were instantly killed while an additional 100,000 suffered injuries. A curious phenomena followed. Even though a majority of the people within a two kilometer radius from the epicenter died from either direct or indirect radiation exposure, some survived without any ill effects and are still alive today. A significant difference between the two groups involved the diet -- those who lived had adopted macrobiotic principles. Based on traditional Japanese foods, a macrobiotic diet consists of seasonal whole grains, vegetables, beans, seaweed, soups and broths. It was originally developed by two Japanese educators, Sagen Ishitzuka, M.D. and Yukikazu Sakurazawa (later to be known in the West as George Ohsawa). Both believed a simple diet of organic miso soup, brown rice and sea vegetables cured serious disease. Later, Michio Kushi took up the torch, writing several books and creating a macrobiotic educational facility in Massachusetts known as The Kushi Institute. Dr. Tatsuichiro Akizuki was working as the director of internal medicine at Urakami Daiihchi Hospital in Nagasaki, Japan when the atomic bomb was dropped 1.4 km away. Since Akizuki was inside when the bomb exploded, he survived. Unfortunately, he was still exposed to high levels of indirect radiation. After the blast, Akizuki fed the staff and patients under his care a diet of brown rice, miso, vegetables and a variety of seaweeds. He recalls, "I gave the cooks and staff strict orders that they should make unpolished whole-grain rice balls, adding some salt to them, prepare strong miso soup for each meal, and never use sugar. When they didn't follow my orders, I scolded them without mercy, 'Never take sugar. Sugar will destroy your blood!'" In his memoir book, The Concentric of Death, Akizuki names 31 people who consumed his simple macrobiotic diet in the wake of the explosion. Sixty years after the blast, one third of the people given the special diet were still alive. Without the protective element of macrobiotic foods, most who survived the explosion either died soon after or developed severe health problems such as cataracts and cancer. "This dietary method made it possible for me to remain alive and go on working vigorously as a doctor. The radioactivity may not have been a fatal dose, but thanks to this method, Brother Iwanaga, Reverend Noguchi, Chief Nurse Miss Murai, other staff members and in-patients, as well as myself, all kept on living on the lethal ashes of the bombed ruins. It was thanks to this food that all of us could work for people day after day, overcoming fatigue or symptoms of atomic disease and survive the disaster free from severe symptoms of radioactivity," said Akizuki.